❈ Not Dishwasher safe, as it may fade the design over time. 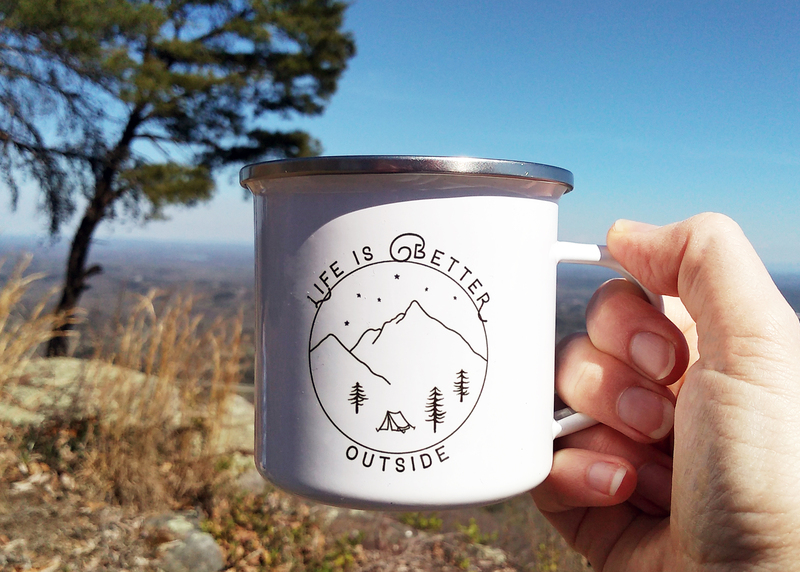 Life is better outside! 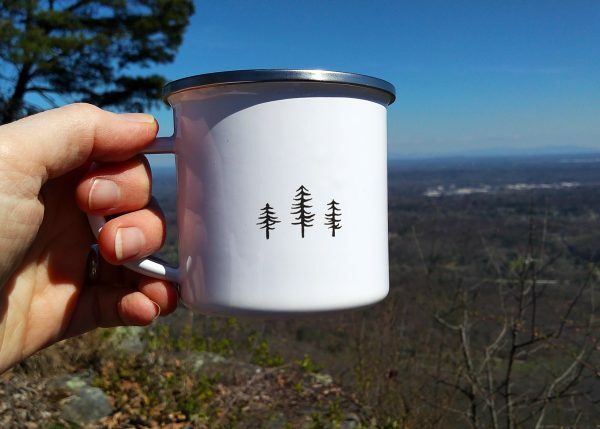 Nature is one of the greatest sources for solace and inspiration. Being in nature and the beautiful outdoors makes us happier, healthier, and more creative. 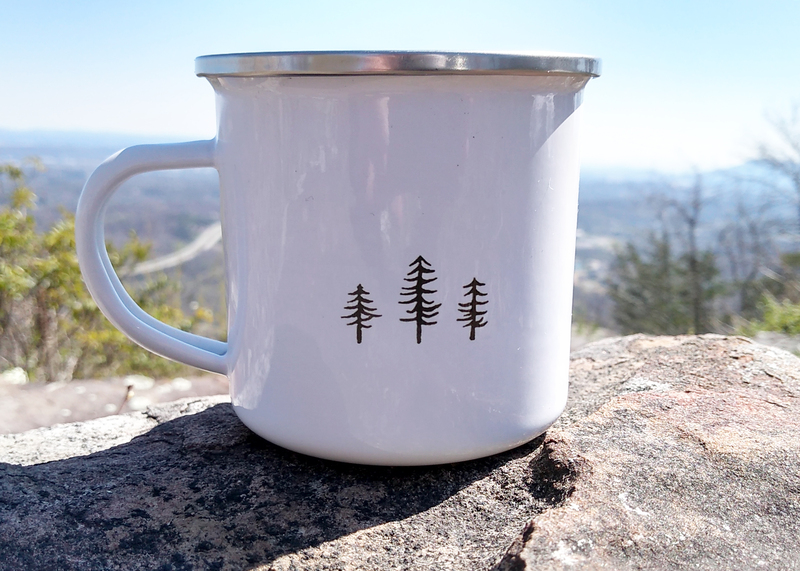 This white enamel metal mug has a peaceful off-grid camping scene printed on one side, with a few woodsy trees printed on the other. 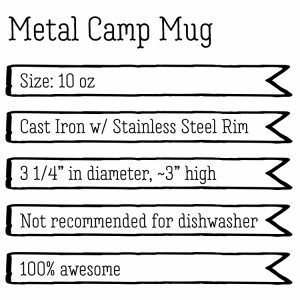 Enjoy this metal camping mug that is beautiful, yet rugged enough for sitting out by the campfire. This 10 ounce mug features an original design that’s exclusive to Plaid Oak. 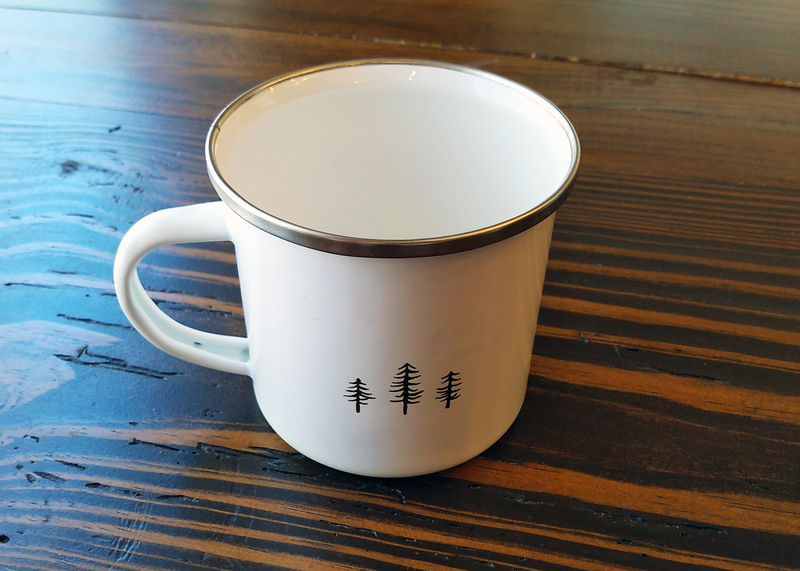 A white gloss enamel coated cast iron camp mug, with a stainless steel rim– perfect for both hot and cold beverages. 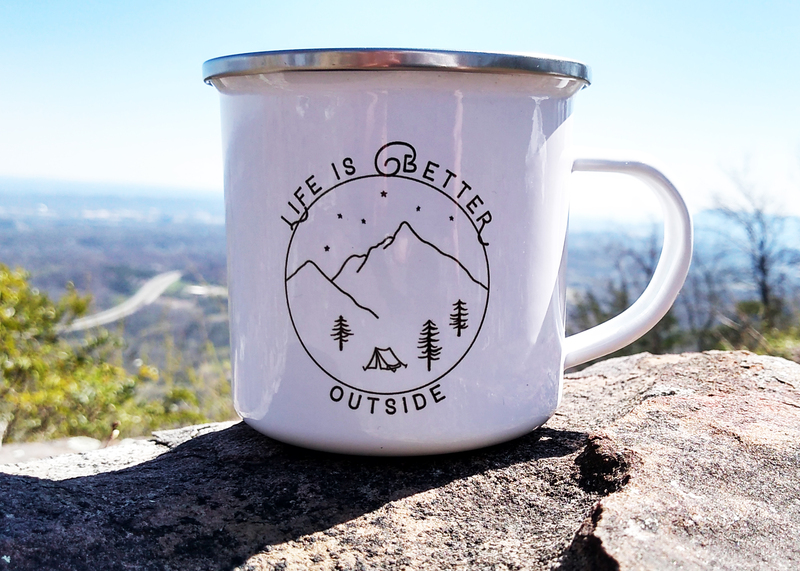 Lightweight but sturdy, perfect for your RV, cabin, travel, camping, hiking, or home enjoyment. 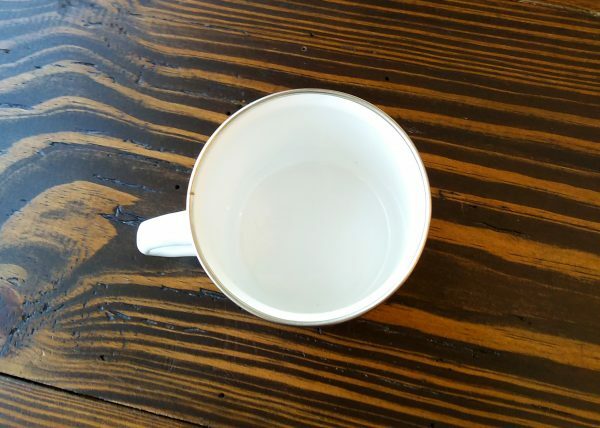 This mug is NOT dishwasher or microwave safe. 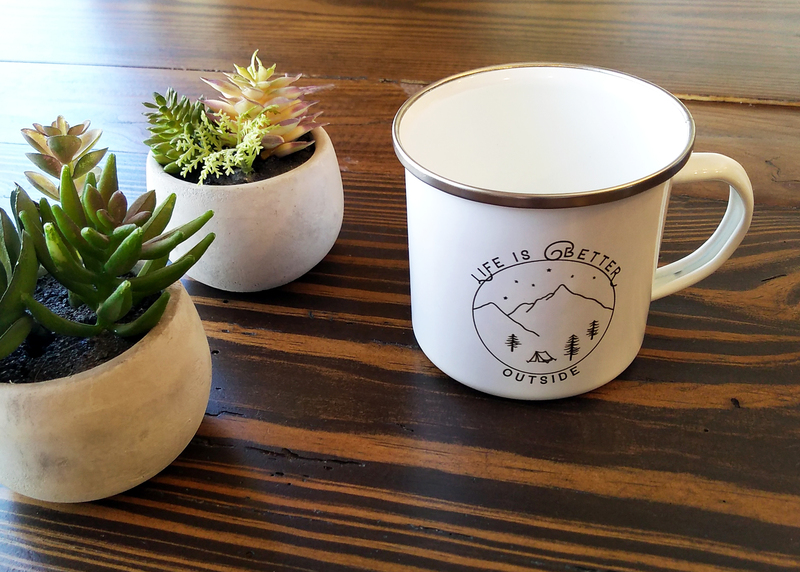 Due to the rustic nature of camp mugs, you may see small imperfections in the mug (like bumps and bubbles)… but that just adds to the charm in my opinion.